With Apple's annual Worldwide Developers Conference 2014 starting on Monday June 2, it's déjà vu all over again with iPhone and iOS rumours that have been circulating since the end of WWDC 2013. Most of the rumors are little more than hopes, more or less well-founded, like continued improvements to Apple's Maps platform in iOS, and more recently one genuinely new rumour that Apple will be extending iOS to handle home automation systems, using your iPhone like an all-purpose remote control for the Digital Things in your life. 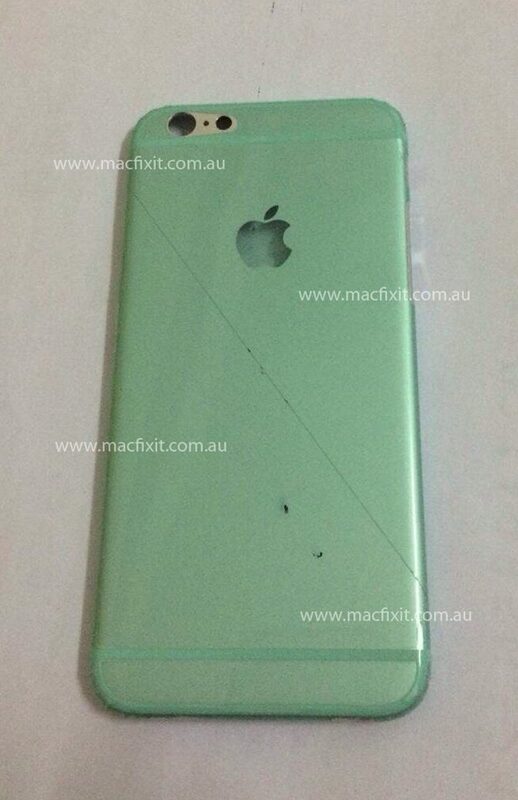 Also this week, a rumour that iPhone 6 will be available on September 19; another that Foxconn will be the main iPhone 6 assembler, and a rear metal casing that some think belongs to the 4.7-inch iPhone 6. This is less a rumor than a Forlorn Hope. It's widely expected that Apple will unveil iOS 8, because...that's what Apple does at its yearly Worldwide Developers Conference, which this year starts June 2. No one is expecting the Next iPhone(s) to be revealed. But there is hope new features in iOS, or clues embedded in the code, might at least hint at features in the upcoming phones. The basic idea is that Apple seems to be preparing software that will turn the iPhone into a "remote control" for lights, security systems and other household appliances. The iBeacon specification, which Apple bases on Bluetooth 4.0 (also known as Bluetooth Low Energy) may be part of this network/internet of things. There have been a variety of software platforms aimed at home/office automation systems, which have achieved varying levels of success. Apple may intend to leverage the millions of iPhones in existence, and the familiar iOS user interface, to create a home automation platform that has almost at the start a very large user base. CiteWorld's Ryan Faas looked at Apple's published WWDC schedule, and took note of the many sessions that are "TBA" to be announced after the opening keynote by Apple CEO Tim Cook and crew. Faas reasoned that these silences actually give some clues as to Apple's announcements. "The unnamed events are spread across each of the six tracks that Apple offers -- Frameworks, Services, Tools, Graphics and Games, Media, and Core OS -- and include both lecture-style sessions and interactive labs," Faas writes. "That implies that Apple is planning major announcements about upcoming products, OS features, apps, and services. It also implies that these announcements will directly impact many of the underlying foundations of iOS and OS X. Perhaps, most importantly, it indicates that whatever products, services, or future OS versions Apple announces, it will need the support of its developer community to ensure success." The last statement hardly rises above a truism: as Faas himself acknowledges, the whole point of WWDC is to bring the 5,000 developer attendees up to speed with Apple's newest OS features, apps, and services. Health Book, an app modeled the iOS Passbook app, but intended as a central location for fitness, lifestyle, and health information; possibly using Bluetooth LE to link with fitness and health devices. improvements and extension to Apple's Maps app and location services. adding Touch ID fingerprint scanning to all future iPhones and iPads, and extending its underlying software and opening it up to developers for authentication and authorization uses. The good news: we only have to wait until Monday afternoon June 2 to know instead of, well, Sept. 19. That's what we call precision. Not very well grounded precision, but good enough for the iOSphere. Numerous iOSphere websites rebroadcast a rumor that apparently first appeared on a German language site, ApfelPage.de, which claims to have seen internal documents from iPhone carrier Deutsche Telekom or as Google Translate renders it "documents in our internally prepare already on the iPhone 6." ApfelPage, oddly, doesn't actually quote these documents or provide a photo or scanned image of them, so we end up with at best a paraphrase. The German carrier "has, therefore, the call center tasked with customers, whose contract expires in about the launch of the model, to convince them to extend their tariff - But then with an iPhone 6 in the luggage. We are talking about a launch date of the device at September 19, 2014 at Telekom and probably the same in the Apple Stores." By "launch date," ApfelPage apparently means "the date when the Next iPhone becomes available for sale." Presumably the announcement date would be seven to 10 days earlier. "Also, potential customers who can not be dissuaded to wait for the next iPhone , instead of already conclude a telecom contract are to be angeködert [?]. You will, so our information , even sent in exceptional cases, in July a written offer to contract for the iPhone 6 by Telekom - without names, of course." Typically, much is read into this vaguely-sourced claim. For Kukil Bora, at International Business Times, the ApfelPage post qualifies as a "report" and is "lending more credibility to the growing rumor that Apple Inc. could launch its next-generation iPhone, dubbed the iPhone 6, in September...."
Bora translates the Google Translate version of the German to mean that "Deutsche Telekom reportedly instructed its call center representatives to tempt customers to stay with the carrier for the Sept. 19 launch of the highly anticipated iPhone 6...."
Of course the best indication of a September release for iPhone 6 is simply the pattern of previous September releases, for the iPhone 5s and 5c (Sept. 20, 2013) and the iPhone 5 (Sept. 20, 2012). A typically brief, and typically thinly-sourced, post at DigiTimes (which may be behind a subscriber paywall by the time you read this) claims that long-time Apple manufacturing partner Foxconn (Hon Hai Precision Industry) will assemble the 5.5-inch iPhone 6, and 70 percent of the 4.7-inch iPhone 6 models. The only foundation for this is usual "sources from the upstream supply chain." The post says Pegatron will handle the remaining 30 percent of the 4.7-inch models, with a third contract assembler, Wistron, taking over the "existing 4-inch iPhone." AppleInsider forthrightly labeled this with a headline starting with the word "Rumor," but Sam Oliver reads into it more than DigiTimes did. "Apple is rumored to be finalizing its supply chain plans for this year's anticipated iPhone update...." he writes, suggesting that either he, or DigiTimes, knows more about the Apple supply chain arrangements and schedules than is likely. The DigiTimes post, which Oliver labels a "report," is also suggestive. "The report also claimed that Apple's current 4-inch iPhone size will live on, but referred to it as an existing' model, suggesting it may just utilize legacy hardware rather than sporting upgraded internal components." This is a false choice. There's no reason that an "existing" 4-inch iPhone model for 2014 can't have both legacy hardware and upgraded internal components: that's exactly what Apple did for the iPhone 5c, which has the same display as the iPhone 5 (and 5s) but shares the 5s wireless components, among other things. Assuming Apple will introduce a 4.7-inch model, will this eventually become the "standard" size for both the flagship and the "c" variants? Will the 4-inch display only be continued until the 2015 iPhones "upgrade" the display to the new standard? Will a larger-than-4.7-inch model be a higher-priced, lower-volume phone, such as an "iPhone Air" as some have speculated? Or will the "c" model feature a 4.7-inch screen and the flagship a 5.5-inch screen? And what will the impact be on iPhone pricing, with and without two-year carrier contracts? These are the real questions and so far there don't seem to be any rumors even speculating about the answers. The Australian Mac/iOS device repair service MacFixIt posted a photograph that is purported to be the rear metal housing or case of a 4.7-inch iPhone 6. The photo comes exclusively "from our contact in China." That's not the kind of source to inspire high confidence levels, given that the current population of China means there are about 1.3 billion candidates for "contact." Mike Beasley, regurgitating this revelation at 9to5Mac, inexplicably upgrades the source. He writes that the photo "allegedly comes from sources inside the supply chain," which makes it sound as if a flock of informed blabbers are doing brain downloads to MacFixIt. "This is reportedly the 4.73 model," Beasley assures his readers. MacFixIt actually doesn't even reportedly say that: they just eyeballed the photo and guessed. "Rumours claims that the iPhone 6 (due to be release later this year) is going to come in a larger size of 4.7" which fits the proportions of this photo," according to the original blogpost. This is making a molehill out an anthill.